NC Open Water Champs features Age Group and Open- level races, drawing 700+ participants and 1500+ spectators from all of NC, including elite Open Water swimmers. The event is one of the largest amateur sporting events in the Sandhills. The S2S Military Mile targets Tri-athletes, Master’s swimmers, & recreational swimmers of all ages—and benefits Moore County’s military children, through donations to the Student 2 Student program. The Poseidon (5K, 3K, & 2K combined) challenges our most elite swimmers. Sandhills Sandsharks is a non-profit (501c) organization started 36 years ago. Dedicated to development of swimmers of all ages and abilities—and expanding aquatics programming in the Sandhills--the Sandsharks have proudly produced numerous State Champions, High School and Collegiate All-Americans and Scholastic-Swimming All-Americans. 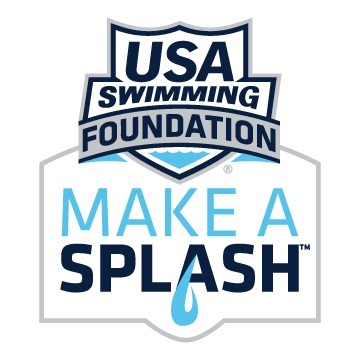 Additionally, we support the Boys & Girls Club as part of USA Swimming's Make A Splash Foundation. We are the only Make A Splash! Learn to Swim program provider in the Sandhills. Make A Splash provides free lessons to under-served and at risk populations, including children in the neighborhood bordering our pool. Your participation as a sponsor ensures that we can continue providing an excellent swimming program to our community. Your leadership and support for USA Swimming in our area is greatly appreciated!